Well respected company within the industry very professional and friendly had used them in the past so knew what I was getting and as always nothing is a problem that they can’t handle …Wayne ….Carl …. Malcolm…where great to deal with I had a bespoke door which I am very happy with . In my opinion, faroncrown are the best around and there are no high-pressure sales men in their company you will deal exclusively with Wayne the owner who is an absolute gentleman. Quality company quality workmanship. 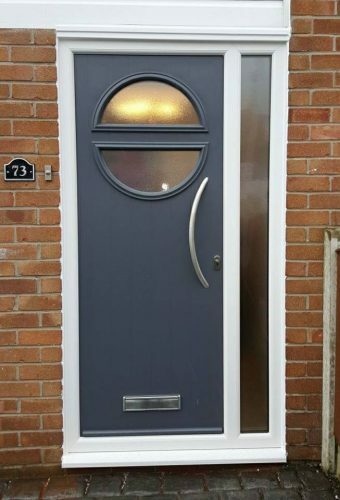 If you would like to discuss having a new front door with us or would like to know more about our range of Contemporary Front Doors, please contact the team at Faroncrown today.